Do you want good health, lowered inflammation and protection from autoimmune disorders? Don’t juice or carb up – do just the opposite! Back in 2015, researchers at Yale School of Medicine revealed a compound that appears to inhibit inflammation in our bodies. The substance is known as β-hydroxybutyrate (BHB). So instead of taking anti-inflammatory meds like Advil, instead consider SlowBurn high intensity strength training and a low carb diet with a touch of intermittent fasting tossed in is a match made in heaven for your health and well-being! 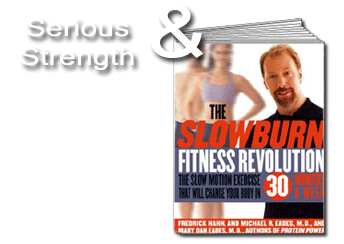 It’s the combo we use at all our SlowBurn personal training studios. You should try it too! I've been involved in exercise ever since I became a member of The Charles Atlas Club when I was 10 years old. In 1998, I founded and established Serious Strength on the Upper West Side of NYC. My clients include kids, seniors (and everyone in between), top CEOs, celebrities, bestselling authors, journalists and TV personalities. Nice to see a blog post up again Fred. I’m still Slow Burning and very low carbing – nearly ten years now. I don’t do intermittent fasting as I’m skinny. I agree with Anne, it’s great to see a post from you again! You always have so much info to share. This post is especially pertinent to me because I have diabetes and my daughter has Lupus. I have been low-carbing for 10 years and still haven’t had to take meds. My A1c seems to stay around 5.5 to 5.8. 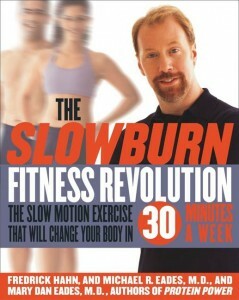 I also do a “baby” Slow Burn once a week. Basically, I just do as much as I think I can without overdoing it at my age (65). I am going to share this post with my daughter. Thanks. Keep posting! Previous post: Whey to Go! Strong Kids Healthy Kids Make your child, lean, strong, healthy, more athletic and self confident! Anne on Whey to Go! 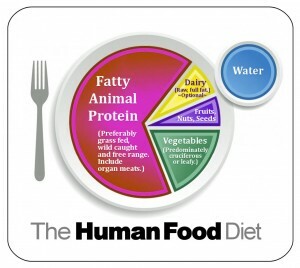 Fred Hahn on Whey to Go! Sean Preuss A former SlowBurn instructor whose blog is top notch!